You can catch a commuter train (read, cheap) from Boston to Providence, Rhode lsland. I cannot even tell you how exciting it is for me to be able to cross state lines on a $10 train fare. It’s kind of like magic. 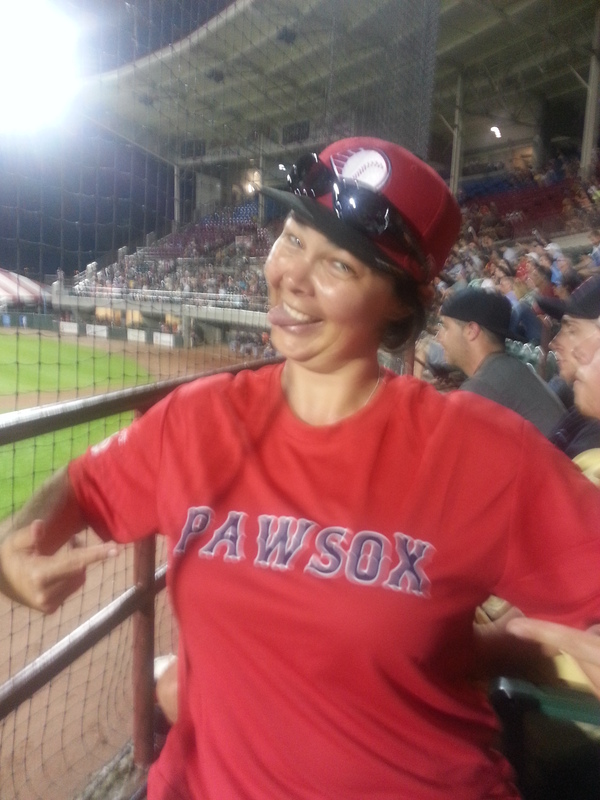 I went to Pawtucket twice, both times to see the Pawtucket Red Sox (PawSox). The first time, I saw very little of Pawtucket or Providence. 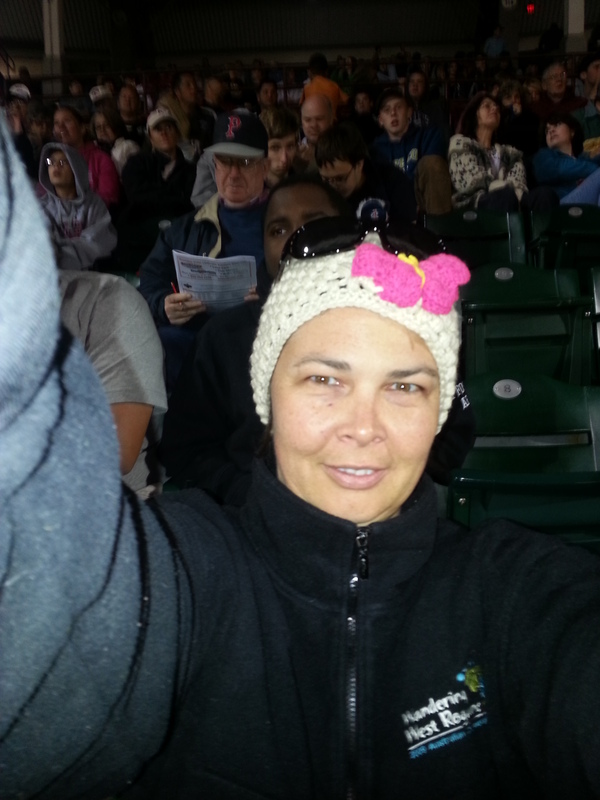 It was at the end of my weekend of car rental in which I drove about 500 miles, saw Lowell Spinners, Portland Sea Dogs and the Pawsox and had a daytrip to Mystic, Connecticut and another daytrip to Newport to look at the big houses/Americas Cup stuff/Tennis things. And also spent every night in Boston. It was a little tiring. 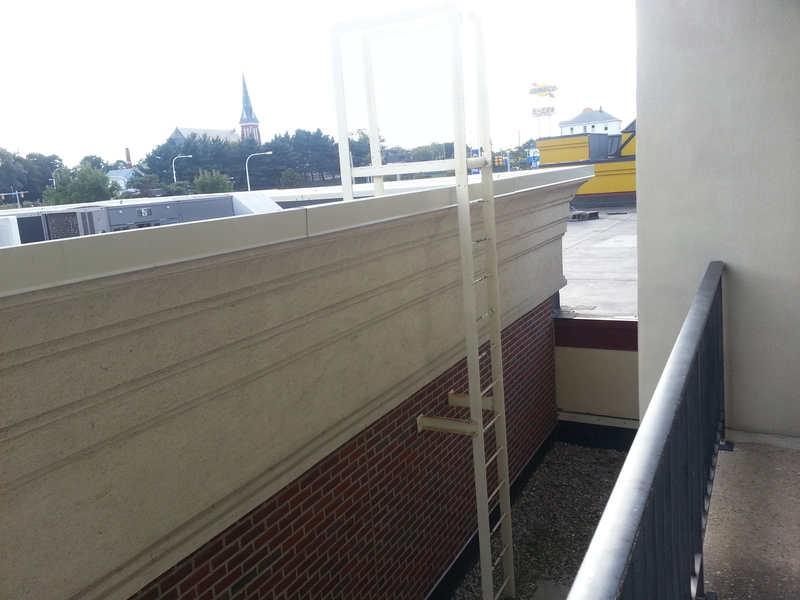 The second time I got down that way, I attempted to couch surf, but failed to get a response in time and ended up staying at the only nearby hotel in Pawtucket. It would have been much cheaper to hire a car than train down and stay at a hotel The train trip was about 1hr30 and the bus trip from Providence to Pawtucket was about 20 minutes. 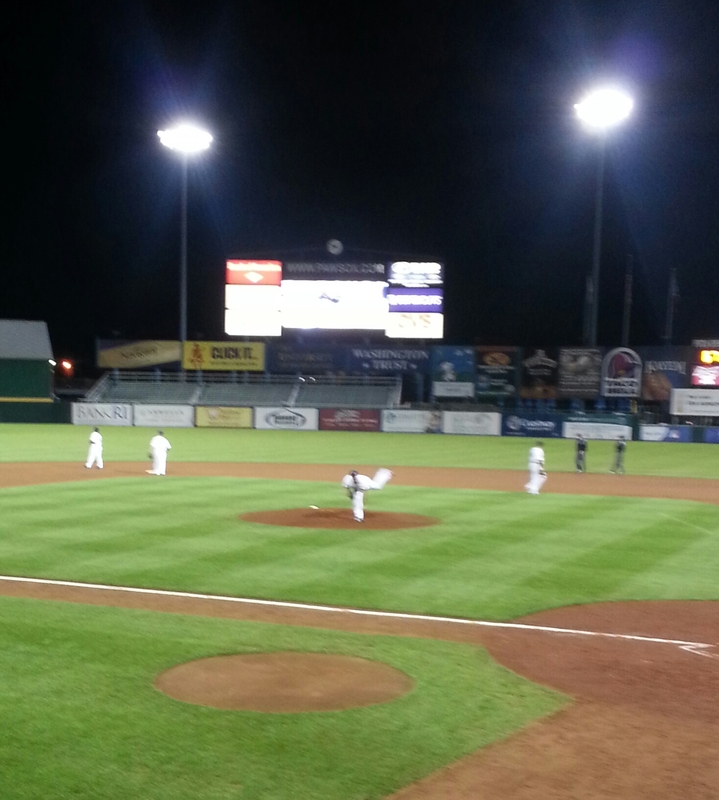 I caught the third game of Pawtucket’s playoffs. 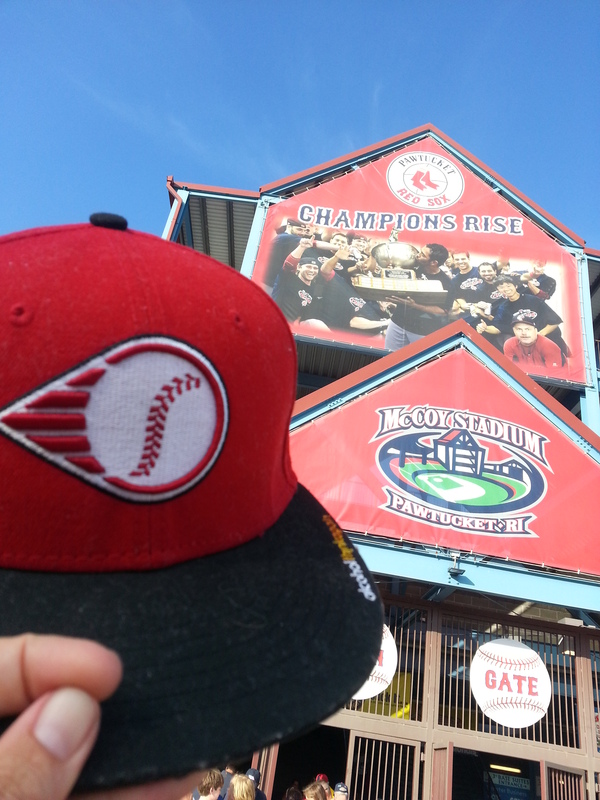 My buddy Rod was there and he told me all about how awesome it was when the PawSox made it into the finals, with the champagne and the excitement and the wow! 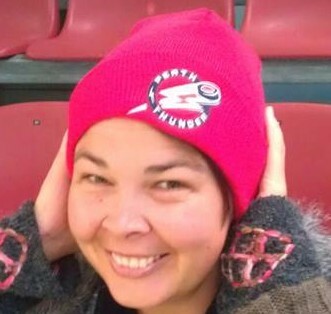 The game I went to was a much quieter team and a much quieter crowd. Ryan Rowland-Smith got called up into a tricky situation and pitched his way out of it in fine style. James Beresford was on the other team and had a pretty good night, despite his lack of agreement with the ump about the location of the strike zone. Feeling a little melancholy and quite a lot cold. I very strongly felt that this was the last piece of my time in Boston. It was the end of summer and the end of my time in the USA and I felt all out of sorts about it. I still loved the stadium – this really is a team that has put a lot of effort into celebrating their history and the history of baseball. And it turns out I’m just as much of a sucker for the romance of baseball as anyone else. 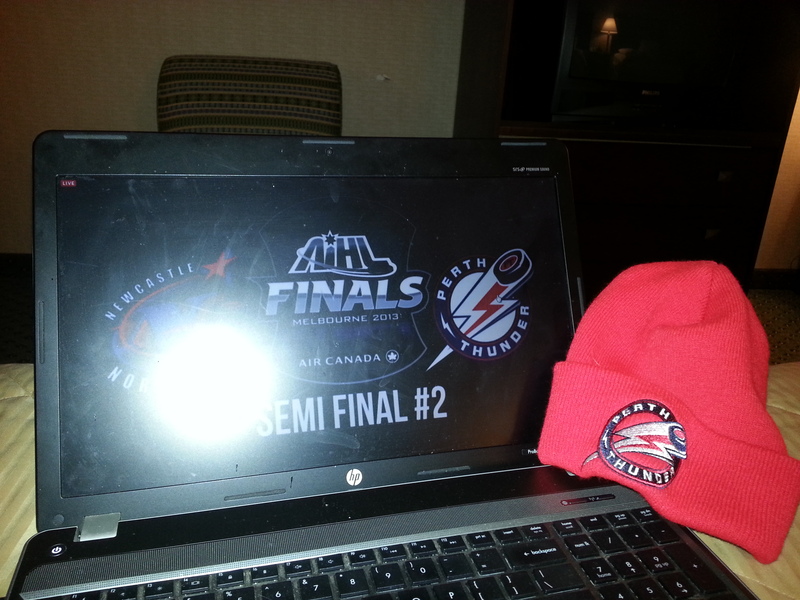 After the game, I woke up at the crack of dawn to stream the Perth Thunder semi-final. I won’t subject you to my 3 hours sleep and insufficent coffee face and that’s only partially because I would like to forget it exists. In the morning, Pawtucket was throwing itself a party, with the annual Dragon Boat racing festival at one end of town and a huge open day extravaganza throughout the rest of town. 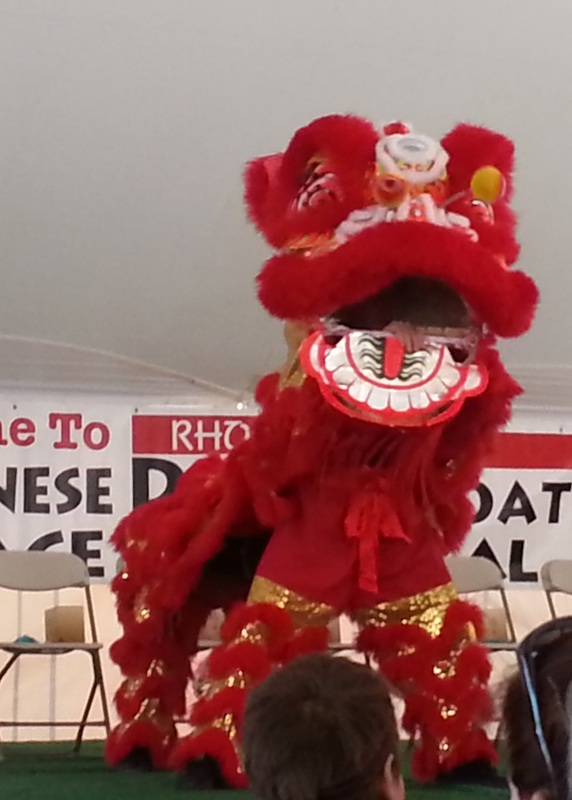 I spent the morning admiring the dragon boats and the Taiwanese cultural groups’ dances. And boggling at my first ever real live eating competition – we actually ran out of dumplings! But the prize was a trip for two to Taipei, so some exceptional eating efforts were made. Then later I listened to jazz, ate a bunch of food van tacos and wandered off to be part of a drumming circle for a while. As you do. 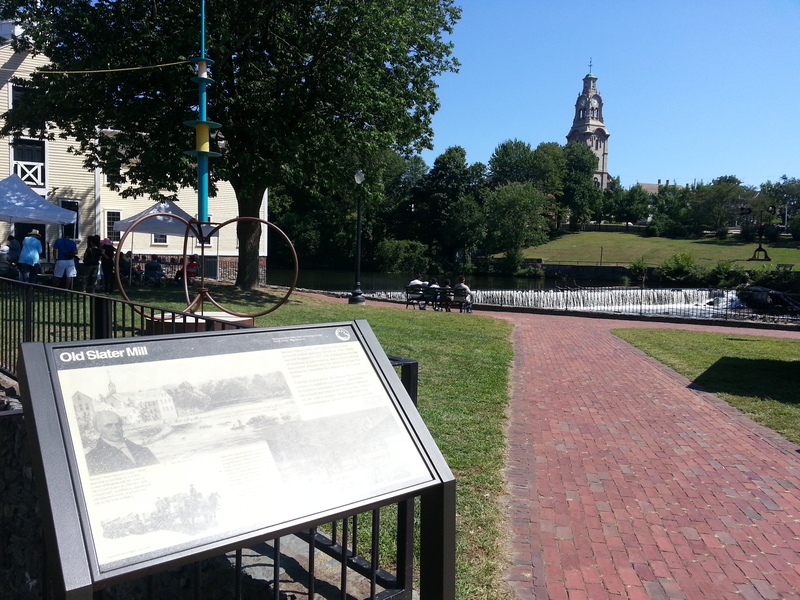 Some random Pawtucket history for you. 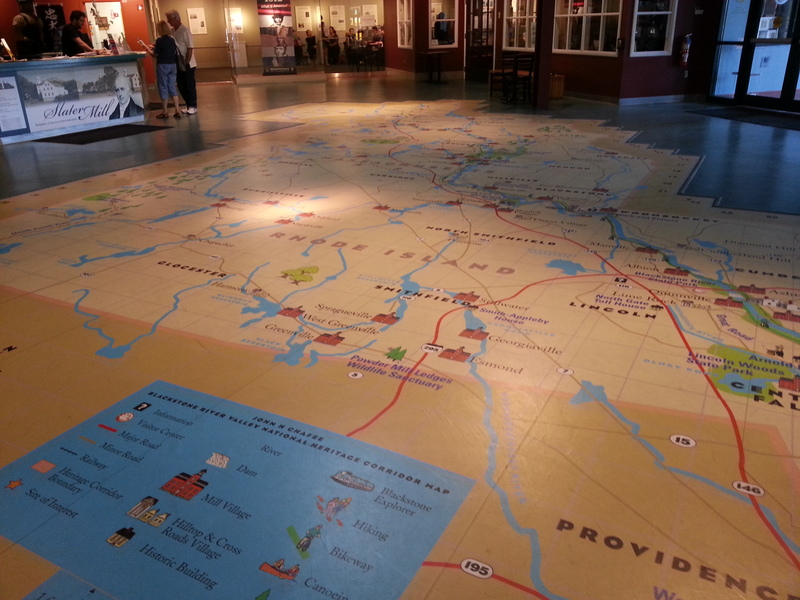 I particularly liked the Pawtucket tourism office’s giant floor map of cool industrial revolution points of interest on the rivers around Rhode Island and Massachusetts. Then it was on the bus back to Providence and a wander along the canals and feeling sad about missing out on whatever the Fiesta del Fuego was going to be, back on a train to Boston and the end of my last excursion before leaving Boston for the forseeable future. 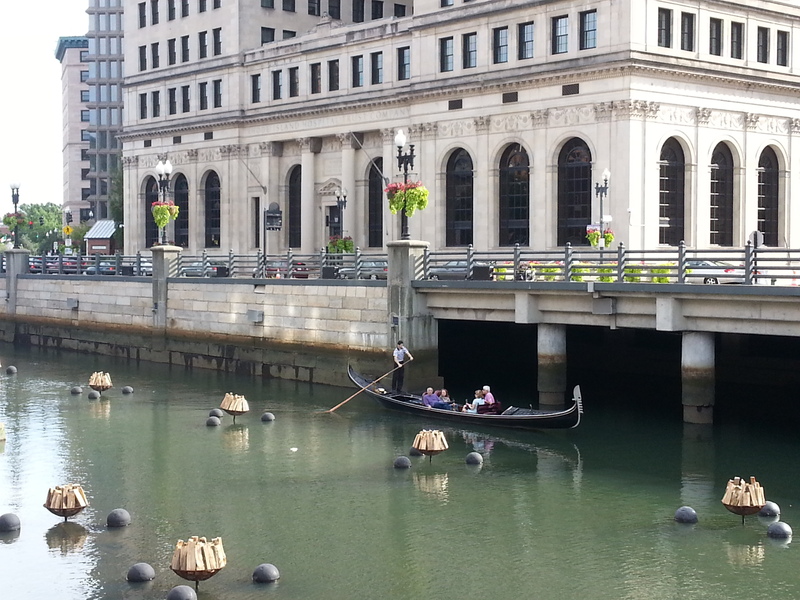 Boating in Providence. I believe that the piles of wood were due to be lit on fire that evening. 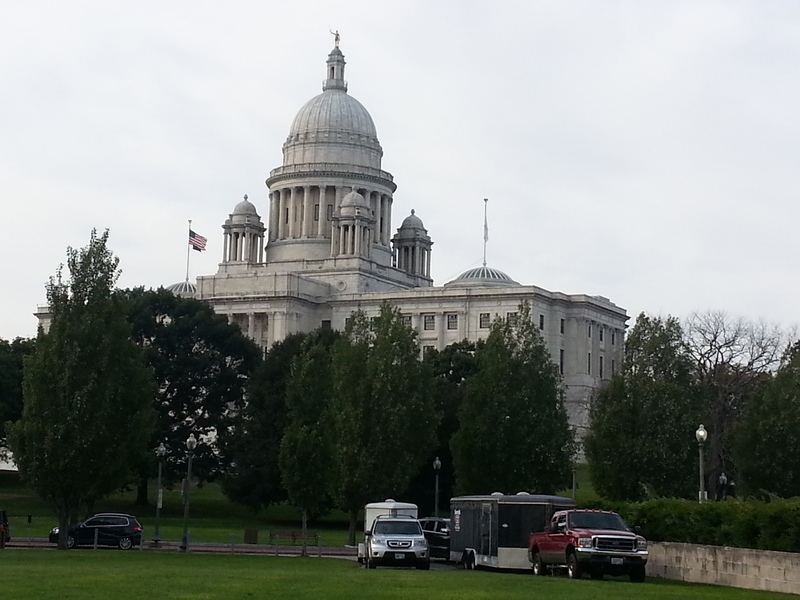 Providence Parliament building. A bit fancy! 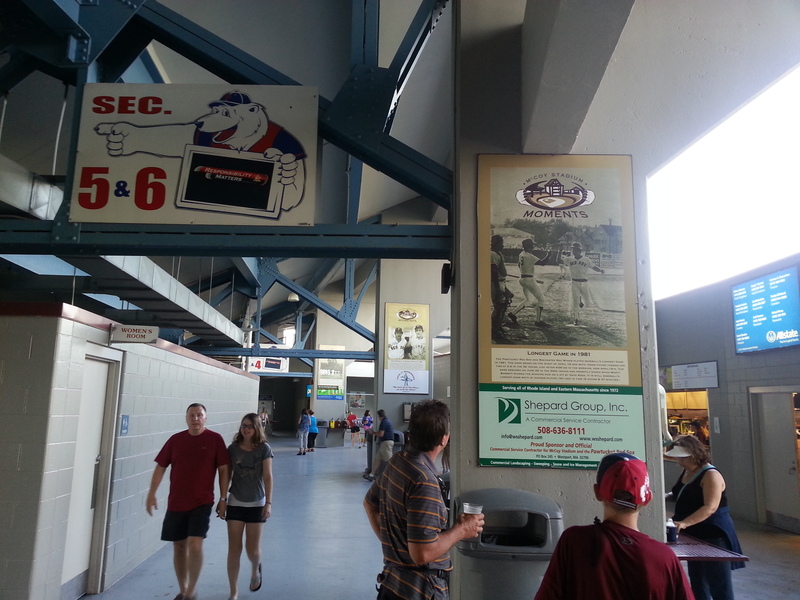 McCoy Stadium history placards. Love them. 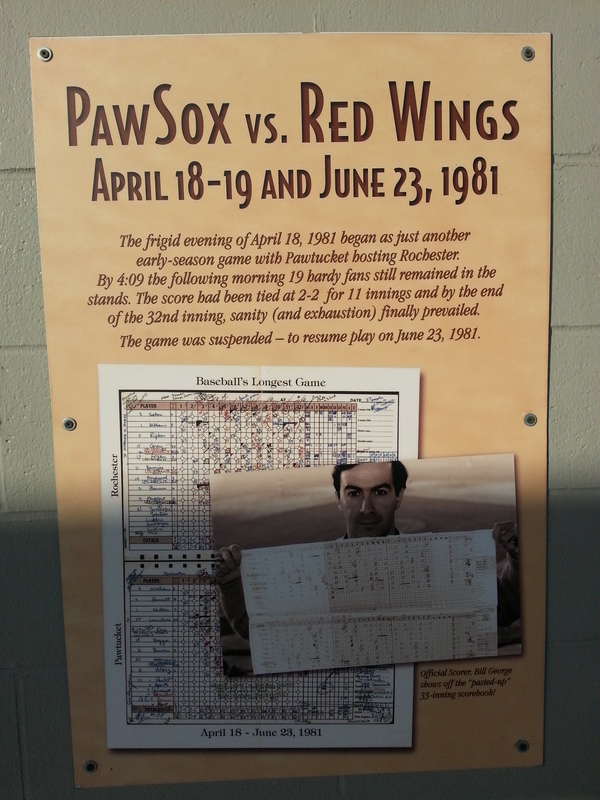 This one is about the longest recorded game in baseball history.